Today is the first blended scotch whisky. This one is a marriage of grain and malted whisky for the well respected Compass Box whisky company. Compass Box is a well respected creator of whisky. They have a number of different core range bottlings and regular limited edition special releases. They have their own stocks of whisky maturing in their own warehouses in Scotland with a head office in London. The company was started by an American John Glaser who was working in marketing for Diageo. In 2000 he left Diageo and started Compass Box from his kitchen. Today the company has around a dozen employees and has a global appreciation in whisky making. First and foremost Compass Box success has been on the quality of the whisky they sell. I think you will be hard pressed to find a particularly negative review of a bottle anywhere online. Their products are craft presentation and mostly affordable if not always widely available. The other reason Compass Box has grown so quickly is their courting of controversy and the media attention being naughty can bring. Here I will discuss two major incidents that have happened in the last ten years. The first incident came from a core expression called “Spice Tree” this expression is back but the original version was banned by the SWA because it was deemed to have been produced using banned techniques. The technique in question was basically to add high quality wooden staves into the inside of the barrels to increase the wood interaction with the liquid. A traditional technique in the production of wine but not whisky. For more information on this incident you can read it here. The second more recent drama is more important to the industry. I believe strongly that whisky must be more transparent to the customer. I want to know the cask’s in the vat or the distilleries used in a blend. Most of this information is available today but the contentious part is if you want to know the ages of all those casks in your bottle. By law for scotch whisky (everything we are talking about relates only to scotch) the only age you can promote is that of the youngest cask. This is a sensible regulation because you do not want bottles labelled “50 years” when the liquid which is actually 50 years old represents 0.1% of the bottle you bought. Other spirits for example Rum have this exact problem. The problem for Compass Box however is they are making premium high quality blends using a large age range of casks to get a complex, interesting and exciting flavour profile and none of that information can be made public. The customer in the shop only knows you are asking £100+ for a blend with no age statement and today when NAS has a reputation (wrongly) for high prices and low quality that is a problem. Compass Box’s solution was to package inside the box and on their marketing materials infographics of the blend mix including those age statements. An example of this data is shown below for my bottle of “Flaming Heart” which was £99 last year. So you can see can very quickly that the price tag makes more sense now. You have all the information to make an informed decision on your bottle. This was all fine until some other whisky company made a complaint anonymously about this practice and they were told to stop. This lead to a Compass Box campaign to change the regulations and a lot of PR followed. Ultimately the compromise found is that the age information has been removed from the bottle box’s and now only available if you explicitly email and ask Compass Box directly about any of their bottles. 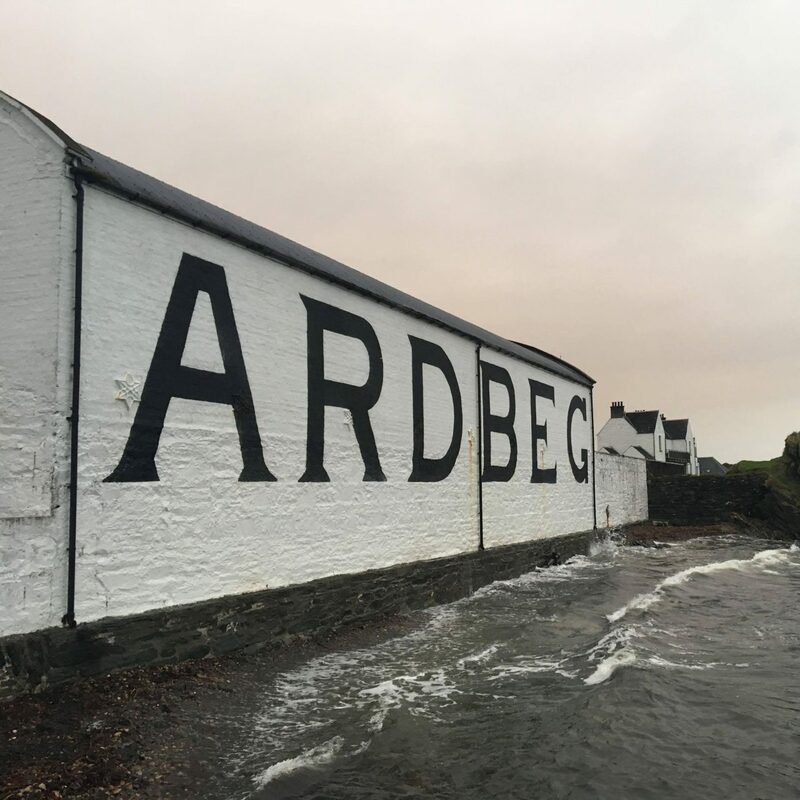 This is becoming a blog article in it’s own right so I will leave it for now but one last thing to mention is Bruichladdich provide all the information on the casks for each batch of their Laddie Classic single malt on their website. All you need is the batch code off the bottle you bought and you can get all the information the distillery knows about your bottle. This 43% dram has no colouring and is not chill filtered. It is from their mixing range so is designed they say to be used in long drinks. It is widely available for around £27 here for example. Another quality bottle from Compass Box. Do not let them kid, you this can be drank neat and is very enjoyable. It’s a summery sweet dram but there is always a place for that in my collection. With so many other blends I have tried you have loud aggressive grain which finishes with a alcohol harshness with a top note of some kind of whisky type flavour. Usually a malt flavour or a sherry fruit flavour. Two distinctive notes but in this blend you have a co-existence and marriage between all the components producing a joined up consistent rounded experience. It reminds me a lot of Girvan Number 4 Apps but a warmer richer version of it.